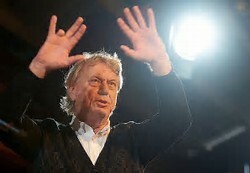 A symposium entitled ‘The Many Guises of Jud Süss’, organized by Professor Evelien Gans, will be held at the University of Amsterdam’s Menasseh Ben Israel Instituut from May 10th-12th 2012. 16.30  17.15. Prof. Dr. Barbara von der Lühe(Institut für Sprache und Kommunikation/ Technische Universität Berlin): Afterlife and Aftermath. What Happened to Jud Süss after 1945? 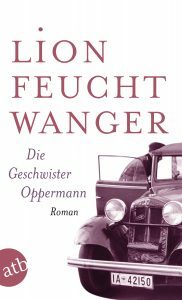 Egon Monk’s 1983 film version of Lion Feuchtwanger’s novel Die Geschwister Oppermann (1933) has been reissued as a part of a Die Welt boxed set entitled Deutsche Geschichten. 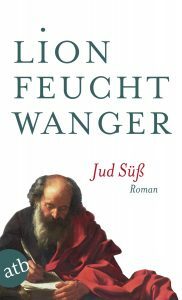 A further volume of essays by Lion Feuchtwanger’s brother Ludwig, entitled Auf der Suche nach dem Wesen des Judentums, has been published by Berlin academic publishing house Duncker & Humblot. 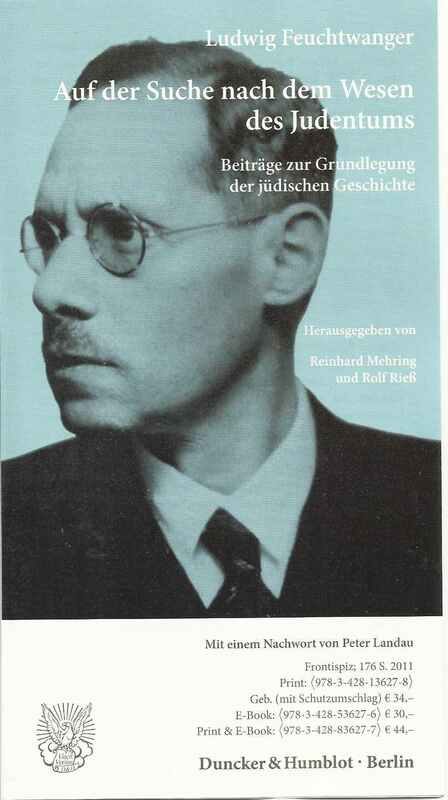 Ludwig Feuchtwanger was the director of Duncker & Humblot until forced out by anti-Jewish legislation in 1936. 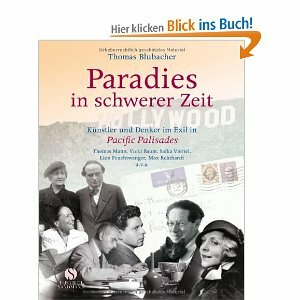 Thomas Blubacher’s account of the émigré life of German intellectuals in Los Angeles in the 1930s and 1940s, Paradies in schwerer Zeit, has just been published by Elizabeth Sandmann Verlag. Hiram Bingham IV, the American diplomat who defied his government to save refugees, among them Lion and Marta Feuchtwanger, has been posthumously awarded a Medal of Valor by the Simon Wiesenthal Center in New York. 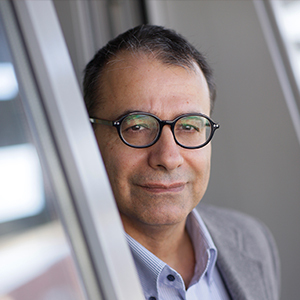 The incoming Feuchtwanger Fellow is Amir Hassan Cheheltan, a leading Iranian novelist who has suffered intimidation and censorship in his native country, and whose views on the situation in Iran regularly appear in German media. “I live in exile in my own country.” Amir Hassan Cheheltan. 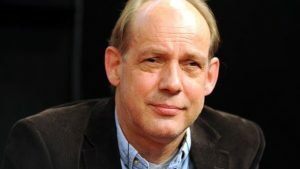 Klaus Modick’s new novel Sunset, which is woven around the thoughts and reminiscences of Lion Feuchtwanger on a single day in Pacific Palisades in 1956, has just been published by Eichborn (Frankfurt am Main). Harold von Hofe, professor emeritus of German and former director of the Feuchtwanger Institute for Exile Studies at USC, died Feb. 3 at his home in Beverly Hills. He was 98. 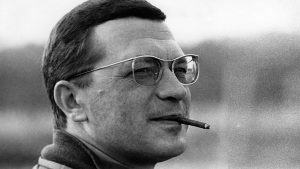 The son of German musicians who immigrated to the United States at the turn of the 20th century, von Hofe was born in Plainsfield, N.J., on April 23, 1912. In 1939  after earning a bachelors degree from New York University and a doctorate from Northwestern University  von Hofe relocated to Los Angeles and took a job teaching German at USC. 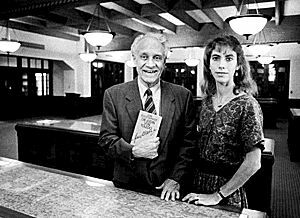 He became a professor and served as chair of USC’s German department from 1945-1956 (as well as from 1963-68 and 1971-74). Von Hofes scholarly work focused largely on the work of writers who fled Germany for Southern California during the Holocaust. From 1959 to 1963, von Hofe served as chair of the USC Division of Humanities. Von Hofe played a large role in acquiring one of USCs most prized scholarly research collections – the library of German-Jewish author Lion Feuchtwanger. 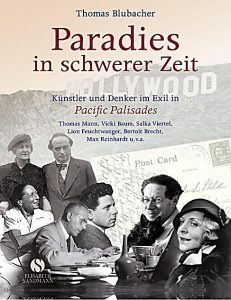 In the early 1940s, the then-associate professor visited Feuchtwanger’s Pacific Palisades home, Villa Aurora, and became friends with the author (Jud Süss) and his wife, Marta. Following Feuchtwanger’s death in 1958, von Hofe convinced Marta that USC would be the ideal place to preserve her husbands collection of more than 30,000 volumes that include Hebrew, Greek and Latin classics; a pre-Luther translation of the Bible; German and German-exile literature; books and materials relating to the French Revolution; rare first editions and secondary works by authors such as Luther, Kant, Goethe, Schiller, Voltaire and Rousseau; and a collection of texts and translations  including a 1493 Florentine edition  of works by first-century Jewish historian Josephus Flavius. 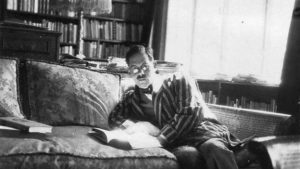 Thanks to Dr. von Hofe’s efforts, Lion Feuchtwanger, his library and his writings have been preserved for future generations, Schuetze-Coburn added. Among von Hofe’s books: A German Sketchbook (co-authored with Ludwig Marcuse, 1979), Faust: Leben, Legende und Literatur (1965) and Eine Reise durch Deutschland (1960), among dozens of others. 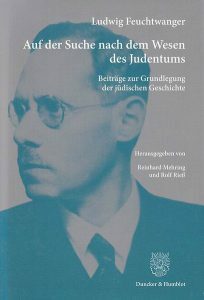 He also has edited, annotated and published numerous volumes of Feuchtwanger’s correspondence. Von Hofe is survived by two sons, Hal and Eric von Hofe, six grandchildren and two great grandchildren. 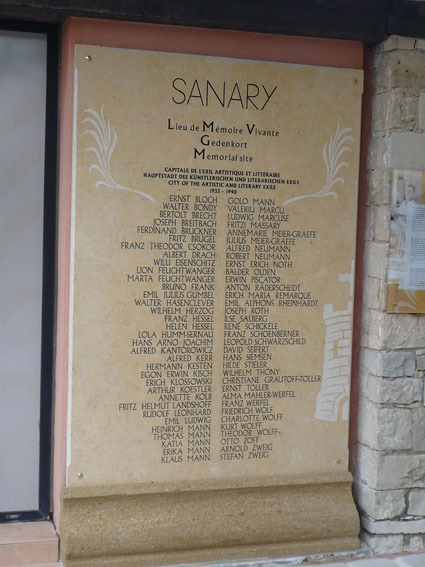 A new plaque commemorating the group of German intellectuals who took refuge in Sanary-sur-Mer in the south of France in the 1930s and 1940s, among them Lion Feuchtwanger, has been unveiled near the town’s seafront. 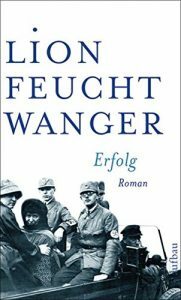 Recent descriptions of the period spent by Lion and Marta Feuchtwanger in Sanary include this Deutschlandradio interview with Edgar (full transcript here) and this New York Times travel section article by my sister Antonia. (republished in the New York Times volume entitled Footsteps (Three Rivers Press, New York, 2017)). Johan Simons’ dramatized version of Erfolg has opened at the Munich Kammerspiele.